The United States Customs and Border Protection wants a Colorado woman to pay $500 for an apple that she received free of cost from a Delta Airlines employee. Toward the end of a flight home from Paris, Crystal Tadlock was given an apple as a free snack by a Delta employee, FOX12 Oregon reported. As she wasn’t hungry at the time, she put the apple in her carry-on bag and forgot all about it. That is until she went through customs and an official randomly searched through her bag and found the apple. The date of the flight is not known. “He asked me if my trip to France was expensive. I said, ‘Yeah.’ I didn’t really get why he was asking that question. And then he said it’s about to get a lot more expensive after I charge you $500,” Tadlock said. She said she was shocked at being asked to pay fine and frustrated that the airlines did not make the passengers wary of any rule involving the snacks handed out on the flight. At the very least, the company should warn passengers not to take the snacks with them when they leave the flight, according to Tadlock. 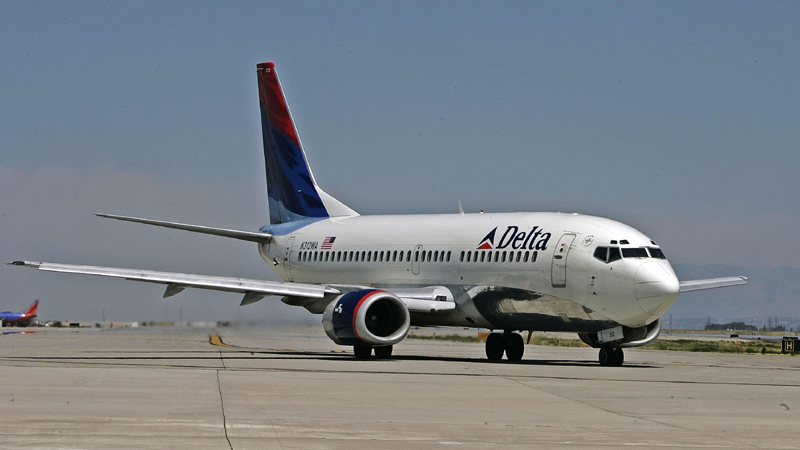 Back in March, Delta Airlines was sued by Allison Dvaladze, a female passenger who claimed she was groped during an international flight and the airline gave her a cold shoulder about the incident.